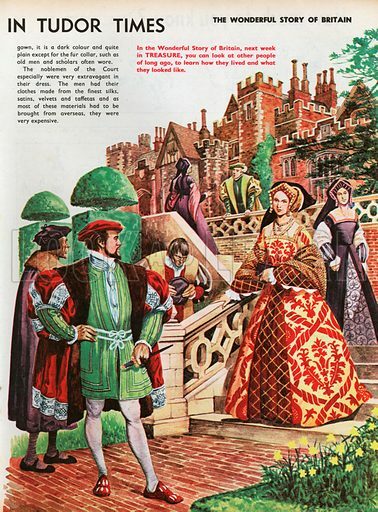 The Wonderful Story of Britain: How People Dressed in Tudor Times. A Tudor family and their friends stroll through the terraced garden of their splendid brick house with its large glass windows, topiary hedges and extensive views. Available worldwide for immediate download up to 3,435 x 4,658 pixels.